The trial process for a suspected criminal is often one filled with uncertainty. The prosecution may have offered you a plea deal in the initial stages of the case, but you were adamant about allowing the jury to rule on your innocence. As the trial played its course, you realized that whether you were innocent or guilty did not matter, but rather your fate depended on what could be proven. To your dismay, the jury found you guilty of all charges and you were sentenced to decades in prison. You may feel as if all hope is lost, but the legal system has avenues in place that allow you to challenge the judicial ruling. By appealing your case, you can have your penalties lessened or even have your criminal conviction reversed, but this is most possible with the help of a criminal appeals lawyer. The Orlando criminal appeals lawyers at The Umansky Law Firm can help you appeal the unfavorable court decision. Many factors go into a criminal trial, and mistakes often occur during the process that ends up having a drastic effect on the outcome of the case. We are here to bring to light any unjust circumstances that led to your criminal conviction. Speak with an experienced criminal appeals lawyer today if you wish to have your case retried in the court of law. The average person is often unaware when errors occur during their trial unless they’re informed of them by their attorney. 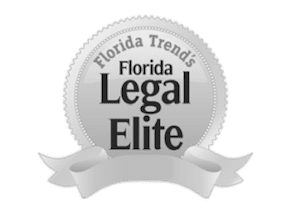 In the instance you suspect something went wrong with your case, but you just can’t put your finger on it, and your attorney is of no help, consult with an Orlando criminal appeals lawyer at The Umansky Law Firm. We can help present your appeal in a manner that favors an approval and serve as your legal representation throughout the process. The Orlando criminal appeals lawyers at The Umansky Law Firm are here to fight for you. Having an appeal granted is no simple task but possible when you have the right legal professionals in your corner. Contact us today at 407-228-3838 for a free case evaluation.